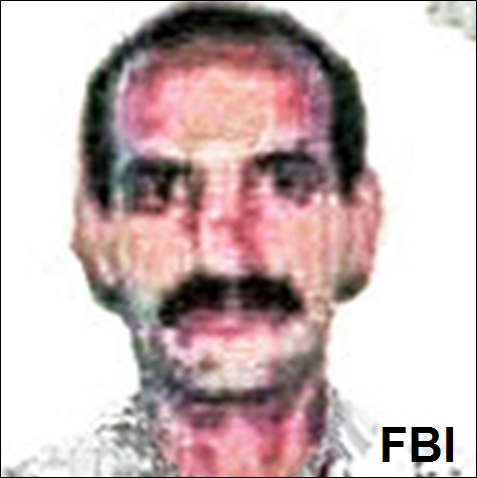 Egyptian national Ibrahim al-Banna is a U.S.-designated senior member of al-Qaeda in the Arabian Peninsula (AQAP).“State Department Terrorist Designation of Ibrahim al-Banna,” U.S. Department of State, January 5, 2017, https://www.state.gov/r/pa/prs/ps/2017/01/266521.htm. He has been described as a “founding member of AQAP” by the U.S. Department of State,“Rewards for Justice - Reward Offers for Information on Al-Qaida in the Arabian Peninsula (AQAP) Leaders,” U.S. Department of State, October 14, 2014, https://www.state.gov/r/pa/prs/ps/2014/10/232932.htm. as “[AQAP’s] chief of security” by the Rewards for Justice program,“Information That Brings to Justice Ibrahim al-Banna,” accessed January 11, 2017, https://www.rewardsforjustice.net/english/ibrahim_al_banna.html. and as the head of AQAP’s “media arm” by the Yemeni Ministry.“Top Al Qaeda official killed in Yemen,” Australian Broadcasting Corporation, October 15, 2011, http://www.abc.net.au/news/2011-10-15/al-qaeda-media-chief-killed-in-air-strike/3573120. Banna was featured in a fall 2010 issue of AQAP’s English-language magazine Inspire, in which he authored an article praising the September 11, 2001, attacks and threatening further carnage.Inspire, Issue 3, Fall 2010, https://azelin.files.wordpress.com/2010/10/inspire-magazine-2.pdf. The U.S. Department of State designated Banna as a Specially Designated Global Terrorist under Executive Order 13224 on January 5, 2017.“State Department Terrorist Designation of Ibrahim al-Banna,” U.S. Department of State, January 5, 2017, https://www.state.gov/r/pa/prs/ps/2017/01/266521.htm. Banna’s involvement with jihadist groups traces back to at least the early 1990s, when he is believed to have joined Egyptian Islamic Jihad (EIJ) in Egypt. In 1993, during a crackdown on the group following its assassination attempt of Egyptian Prime Minister Atif Sidqi, Banna escaped alongside fellow EIJ members to Yemen. There, they formed an EIJ community initially led by Muhammad al-Zawahiri, though Zawahiri’s brother—current al-Qaeda Emir Ayman al-Zawahiri—assumed leadership of the Yemen-based community the following year.Hassan Abbas, “Former AQAP Intelligence Chief Describes Egyptian Role in al-Qaeda,” Jamestown Foundation, November 24, 2010, https://jamestown.org/brief/briefs-128/. According to the U.S. Department of State, Banna was “a leader” within EIJ between 1996 and 1998.“State Department Terrorist Designation of Ibrahim al-Banna,” U.S. Department of State, January 5, 2017, https://www.state.gov/r/pa/prs/ps/2017/01/266521.htm. During that time, he is believed to have trained an operative known as Abu Ayub al-Masri, a.k.a. Abd al-Mun’im bin Izz al-Din al-Badawi. Masri succeeded Abu Musab al-Zarqawi as the leader of al-Qaeda in Iraq following the latter’s death in 2006.Hassan Abbas, “Former AQAP Intelligence Chief Describes Egyptian Role in al-Qaeda,” Jamestown Foundation, November 24, 2010, https://jamestown.org/brief/briefs-128/. “Profile: Al-Qaeda in the Arabian Peninsula,” BBC News, June 16, 2015, http://www.bbc.com/news/world-middle-east-11483095. He was reportedly arrested and interrogated by Yemeni authorities in August 2010, and was subsequently released. That fall, Banna was featured as the author of an article in al-Qaeda’s magazine Inspire, in which he referred to the September 11, 2001, attacks a “virtuous act.” He further wrote that the “heroic mujahidin who sacrificed their lives for the sake of Allah on 9/11 [gave] a great example of sacrifice and defending their religion and people according to what was revealed in our holy book.” Banna warned that al-Qaeda would “not stop targeting [the U.S.] as long as you are occupying our land and bombing our homes and killing our children….” Banna is believed to have written the article prior to his August 2010 arrest.Inspire, Issue 3, Fall 2010, https://azelin.files.wordpress.com/2010/10/inspire-magazine-2.pdf; Hassan Abbas, “Former AQAP Intelligence Chief Describes Egyptian Role in al-Qaeda,” Jamestown Foundation, November 24, 2010, https://jamestown.org/brief/briefs-128/. Craig Whitlock, “U.S. airstrike that killed American teen in Yemen raises legal, ethical questions,” Washington Post, October 22, 2011, https://www.washingtonpost.com/world/national-security/us-airstrike-that-killed-american-teen-in-yemen-raises-legal-ethical-questions/2011/10/20/gIQAdvUY7L_story.html?utm_term=.69e344cfc04b. Three years later, in October 2014, the U.S. State Department’s Rewards for Justice program offered up to $5 million for information that would bring Banna “to justice.”“Information That Brings to Justice Ibrahim al-Banna,” accessed January 11, 2017, https://www.rewardsforjustice.net/english/ibrahim_al_banna.html. The U.S. Department of State designated Banna as a Specially Designated Global Terrorist under Executive Order 13224 on January 5, 2017.“State Department Terrorist Designation of Ibrahim al-Banna,” U.S. Department of State, January 5, 2017, https://www.state.gov/r/pa/prs/ps/2017/01/266521.htm. Shaykh Ibrahim Muhammad Salih al-Banna“State Department Terrorist Designation of Ibrahim al-Banna,” U.S. Department of State, January 5, 2017, https://www.state.gov/r/pa/prs/ps/2017/01/266521.htm. The U.S. Department of State designated “Ibrahim al-Banna” as a Specially Designated Global Terrorist under Executive Order 13224 on January 5, 2017.“State Department Terrorist Designation of Ibrahim al-Banna,” U.S. Department of State, January 5, 2017, https://www.state.gov/r/pa/prs/ps/2017/01/266521.htm. “Realize that the heroic mujahidin [holy warriors] who sacrificed their lives for the sake of Allah on 9/11 [gave] a great example of sacrifice and defending their religion and people according to what was revealed in our holy book.” (Inspire magazine)Inspire, Issue 3, Fall 2010, https://azelin.files.wordpress.com/2010/10/inspire-magazine-2.pdf. “Jihad is the peak of Islam and the operation that the mujahidin performed on the 11th of September represents a virtuous act.” (Inspire magazine)Inspire, Issue 3, Fall 2010, https://azelin.files.wordpress.com/2010/10/inspire-magazine-2.pdf. “We will not stop targeting [the U.S.] as long as you are occupying our land and bombing our homes and killing our children….” (Inspire magazine)Inspire, Issue 3, Fall 2010, https://azelin.files.wordpress.com/2010/10/inspire-magazine-2.pdf. “The mujahidin by the will of Allah will carry on jihad to establish justice between mankind and to remove American oppression and tyranny.” (Inspire magazine)Inspire, Issue 3, Fall 2010, https://azelin.files.wordpress.com/2010/10/inspire-magazine-2.pdf.